West Ham left back Arthur Masuaku is poised to leave the club in January with Serie A the most likely destination, according to the defender’s agent Francesco Lingenti. Lingenti has claimed that three sides from Serie A are currently monitoring the Frenchman, with Napoli and Juventus favourites for the defender’s signature, reported by Football Italia​. Masuaku linked with move to Serie A, 3 clubs interested . The Italian agent seems keen to get his player a move to one of Italy’s top teams and the move could happen in the next transfer window. 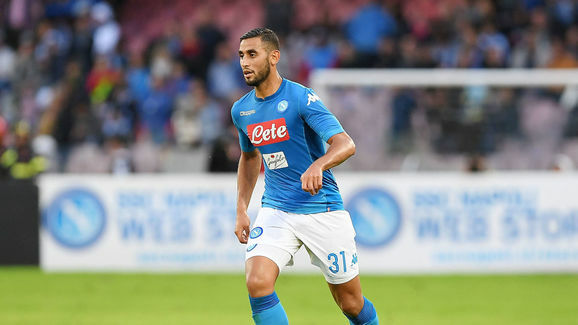 Napoli would be ideal for the Frenchman, with the club in excellent form and a recent injury to left-back Faouzi Ghoulam, who will be out for a long spell meaning Masuaku will have plenty of game time. Lingenti insisted that the Napoli Sporting Director is interested in the current Hammer. If Masuaku is to be sold, West Ham are said to be holding out for a larger sum than that of what they paid for the Frenchman in 2016. @AdamGawthrop Zaza, Feghouli, Masuaku, Tore, Nordveit. Every single one of them not good enough. Poor transfer window. The move would favor both sides if the deal went through, as Masuaku has not had the best of times at the London Stadium, with Aaron Cresswell being preferred for the majority of the games. As for West Ham, if they were to lose Masuaku they would be in the hunt for a replacement left-back with Aaron Creswell the only recognized left full in the team.